Know the minimum payment rules. Your estimated payments and withholding must equal at least 90% of your tax liability for 2014 or 100% of your 2013 tax (110% if your 2013 adjusted gross income was over $150,000 or, if married filing separately, over $75,000). 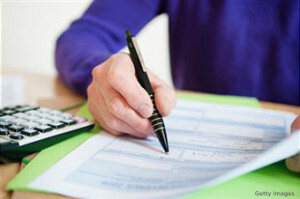 Use the annualized income installment method. This may be beneficial if you have large variability in monthly income due to bonuses, investment gains and losses, or seasonal income (especially if it is skewed toward the end of the year). Annualizing computes the tax due based on income, gains, losses and deductions through each estimated tax period. Estimate your tax liability and increase withholding. If you have underpaid, have the tax shortfall withheld from your salary or year end bonus by Dec. 31. Withholding is considered to have been paid ratably throughout the year, whereas an increased quarterly tax payment may still leave you exposed to penalties for earlier quarters. Questions? Contact your Keiter representative or 804.747.0000 | information@keitercpa.com.